Do you enjoy going on a good old road trip? We do! Load some snacks, music, audio books, coffee for adults, and off we go. We also love playing games in the car including this one that requires paying attention to the world around us - car scavenger hunt. As my readers know, Smarty is an only child. When it comes to road trips, her "only" status offers pros and cons. The con is that she cannot chat or play with a sibling as we go on long trips. On another hand, we only need to consider her age and interests while packing for a road trip. When she was a young child, it meant bringing magnetic toys, music. and making frequent active stops. Now it means bringing audio books, playing word games, or pulling out interesting printables. 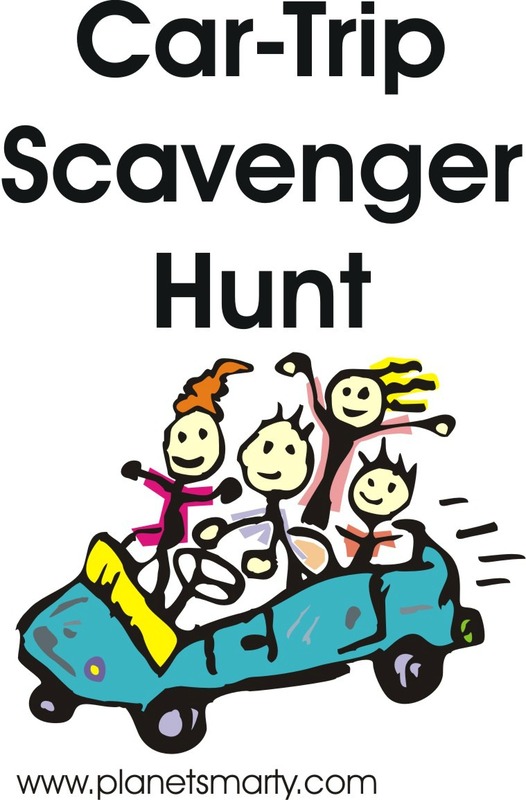 My husband has created this scavenger hunt when Smarty was about 6 years old - I think it was for our first car trip to Southern California when we went to Legoland and San Diego Zoo. He perfected it over time and made it longer. 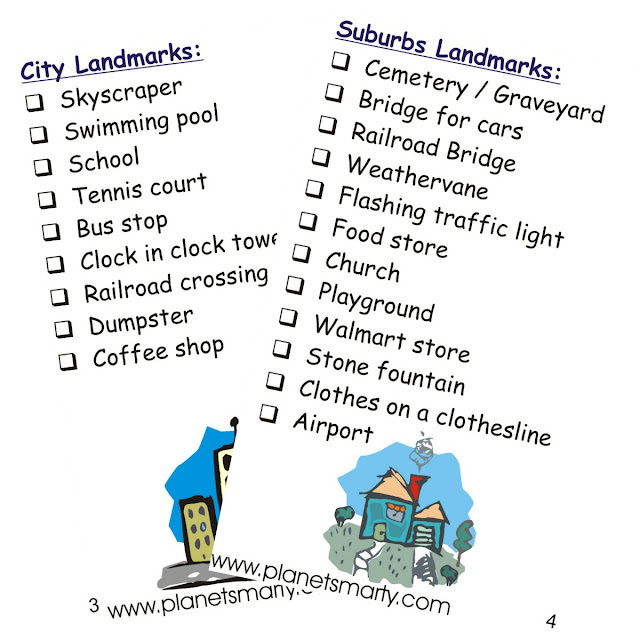 I admit I often wish for an extra child to be Smarty's playmate for this scavenger hunt - it's more fun with several players. You can print out this mini-booklet by downloading it from here. The best way to print it is by doing 4 pages per print page. 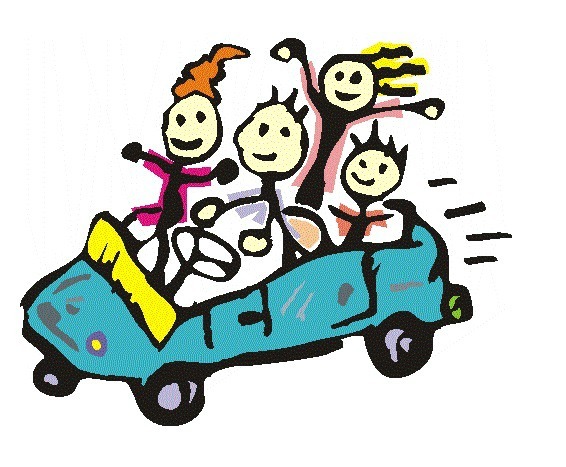 What are your tips for a successful road trip? We'll have to try this on our next road trip!